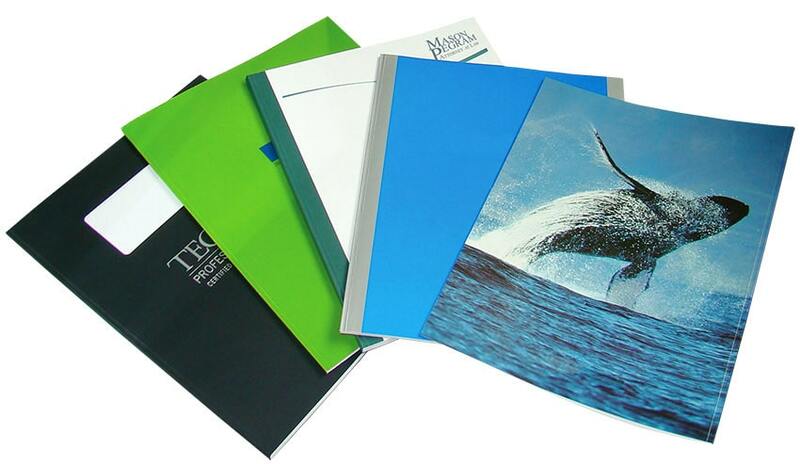 Choose from our vast selection of Coverbind custom thermal binding covers. 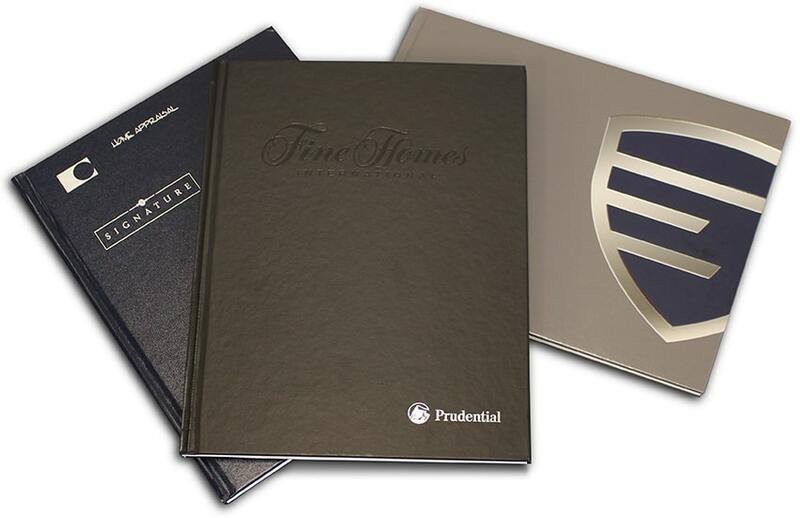 We offer custom printing and foil stamping on the standard covers, as well as custom materials that allow you to truly make something that is one-of-a-kind. Whether you want to get custom soft covers or hard covers, we can do it all. We can print your company name, create a premium metallic foil stamp of your logo, or brand the covers in any way that you want for your business. Use a unique material, like a textured vinyl, or a more traditional linen or laminated wrap. Go for a fun design that emphasizes your personality, or a clean and professional one to enforce your authority in the field. We can add cut-out windows, make you nearly any custom size, deboss, and match your past order samples (even if you didn't buy them from us). 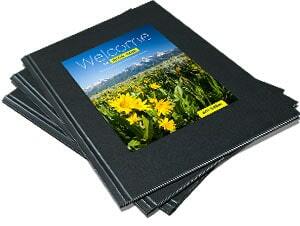 Whatever look you want to portray, we can help with our custom thermal binding covers. To get a quote for custom thermal covers, call us at (866)537-2244 (866)537-2244 . In addition to these custom-made covers, we also offer a variety of thermal binding covers that you can customize yourself. These include Print On-Demand soft covers, Design On-Demand soft covers, and Hardcover On-Demand (yep, you guessed it) hard covers. 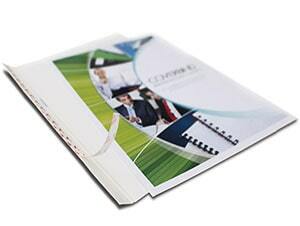 If you thermal bind, then you know that thermal binding is the easiest way to bind documents, bar-none! It uses heat and glue to bind the pages into covers in one step, but without having to add messy melted glue yourself. Thermal bind covers come with pre-applied adhesive that is activated once it is placed into the thermal binding machine, creating a strong bind. 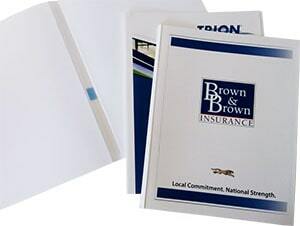 To bind with thermal binding covers, all you do is place your pages into the cover, and then place that cover onto the machine. Depending on the machine, you either move it to a cooling rack, or allow it to automatically cool.